We all have deep within ourselves a voice telling us that we are not enough: not smart enough, not good-looking enough, not earning enough money, not thin enough or any variation of that. That voice arrived sometime in childhood and if it goes unchecked, it can take over our lives to the point of paralysis. Our feeling of inadequacy contributes to the collective ego. We have seen the lack of communication that permeates our society on a daily basis. More than ever, it is apparent we have forgotten the ability to reconnect with each other. I feel that times like the ones we are going through now call for a shift. Pay attention to the conversations and situations that arise around you. Write down the following and carry it with you so that you always remember: my energy equals my beliefs, which dictates my actions, and they make up who I am. It is the permanent form of the verb “be” we are discussing here. Be aware that you will bring your energy/beliefs/actions with you everywhere you go. You will be responsible for what you create. Here’s an example: I was constantly looking to do something of impact with my talents, and I kept discontinuing the things I started. And I now see clearly what was missing: these projects and ideas were transitory things and not permanent; in other words, they were a stepping stone to something else – usually money, exposure or acknowledgment. The worst was that every time I started something and it ended prematurely, I felt like a fraud. On the other hand, whenever I listened to my talents and pursued them, I thrived. By talent, I mean the activities that make me joyful and bring contentment to my heart, the ones connected to the permanent I, not the transitory one. A Course in Miracles defines a miracle as a change in perception from fear to love. It means going from the impermanence of what is outside of you, like the weather, a romantic relationship or what you will eat for lunch on Saturday, to the unshaken part of you, what is on the inside. Dear reader, please remember that an external thing, person or situation cannot solve what goes on inside: your anxiety will not be resolved by the number of pills you take; your depression will not go away the more alcohol you drink. To be able to reconnect with yourself, go back in. Dig deeper. Find out what your energy is attracting to your life, discover what your limiting beliefs are and pay attention to your daily actions. Start small. Just please, start! Since choosing to go after my dreams and start my TV show, I have realized that my work here on Earth is to bridge the gap between separation and our shared humanity. That is the purpose that guides all I do, and I bring it with me to each project I take on. 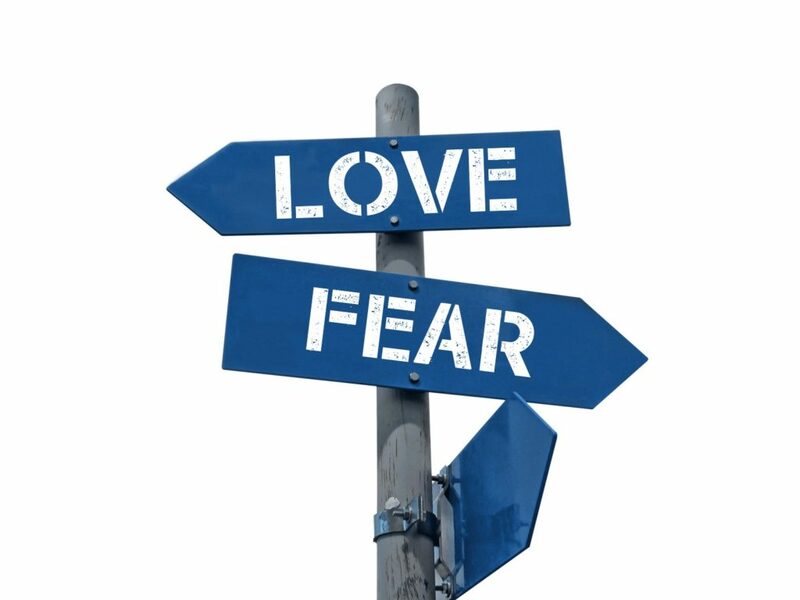 What will you choose today: fear or love? Eric Faria is an emotional freedom specialist, speaker, trainer and columnist. He produces and hosts the TV Show, I AM with Eric Faria, airing in the greater Danbury area on Comcast Channel 23 Mondays at 8:30 pm. It is also available on demand on YouTube. To contact him, send an email to eric@ericfaria.com.